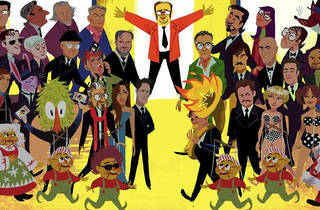 The Cinefamily Telethon will include appearences from Robert Downey Jr., Jason Schwartzman, Peter Bogdanovich and more. Normally, the live webcams you pay to watch in the wee hours of the morning aren't considered tax-deductible. 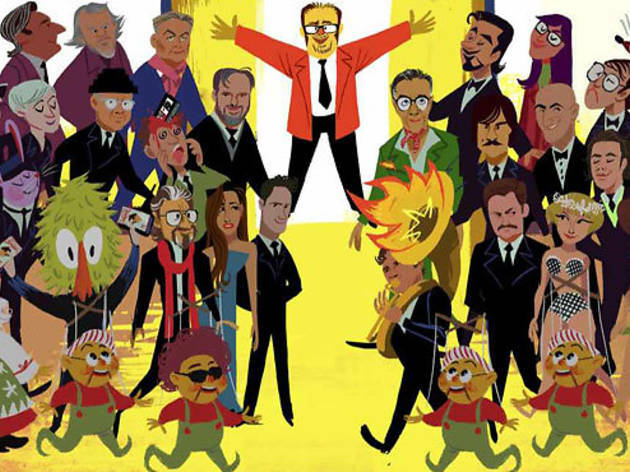 Try something new for a change this weekend with Cinefamily's 24-hour Holiday Telethon. Call in from 1pm on Saturday through 1pm on Sunday and watch the action live on the Cinefamily website. Special guests include Robert Downey Jr., Jason Schwartzman, Nick Offerman, Peter Bogdanovich and many more. For those who prefer live contact, a select number of seats at the telethon will be available to donors through Cinefamily's Kickstarter page. A donation of $50 gets you a reserved seat for a select timeslot, while $1,000 gets you a sofa for the timeslot of your choice, as well as your name on their donor wall. (General admission seating is also available on a first-come, first-served basis.) All proceeds go to helping Cinefamily find and preserve "distinct, weird and wonderful" films, which is something you might actually be familiar with.